This is a picture heavy post. Let’s get to the good stuff right away. 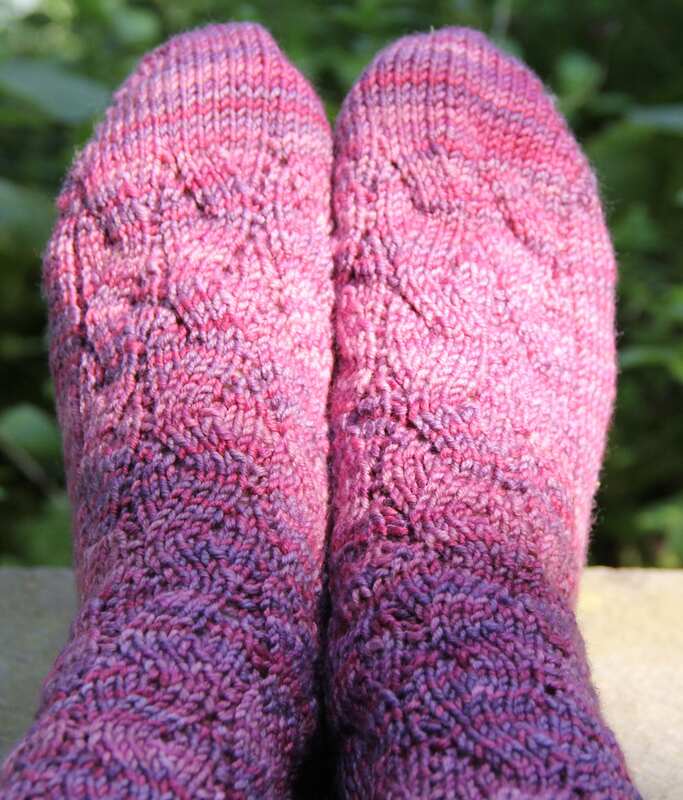 First up, The Skipper’s Socks tentatively titled Secret Love. 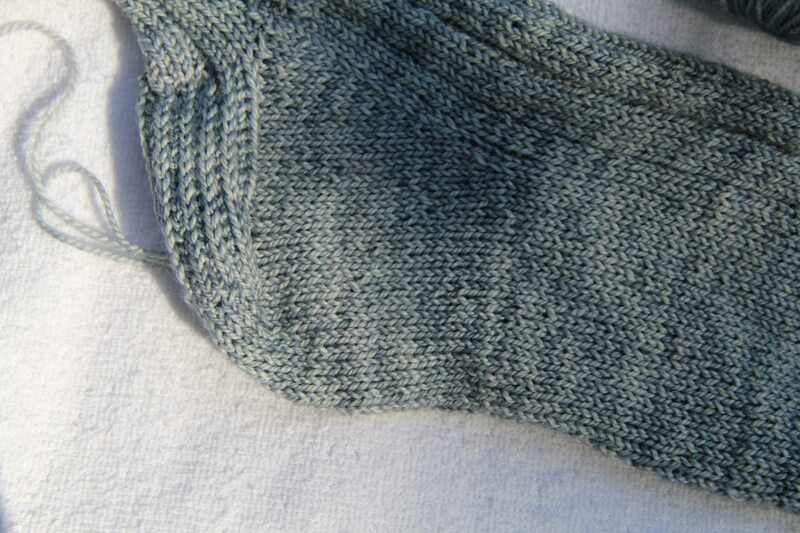 The heel that I worked so hard on to get right. I am happy with all the wraps being invisible. The socks I made for myself. They are from the book Socks From the Toe Up by Wendy Johnson. I highly recommend getting the book if you love toe up socks. 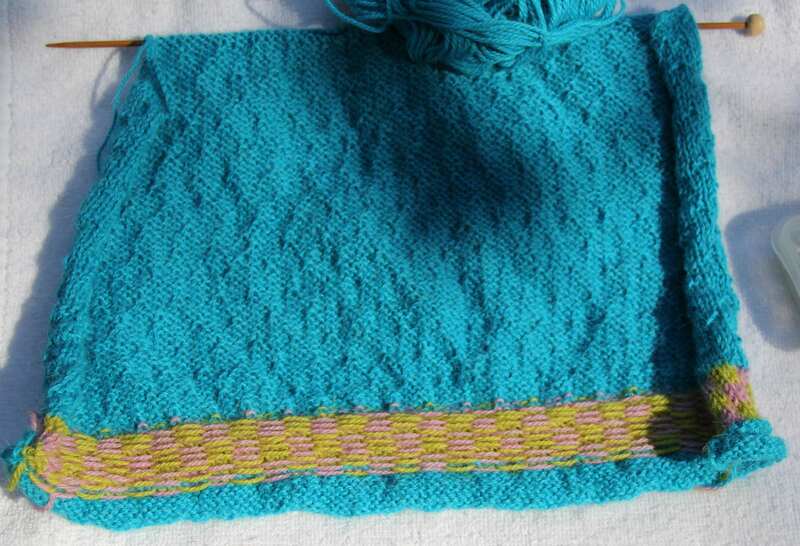 It’s a pleasure to have it in my personal knitting library. 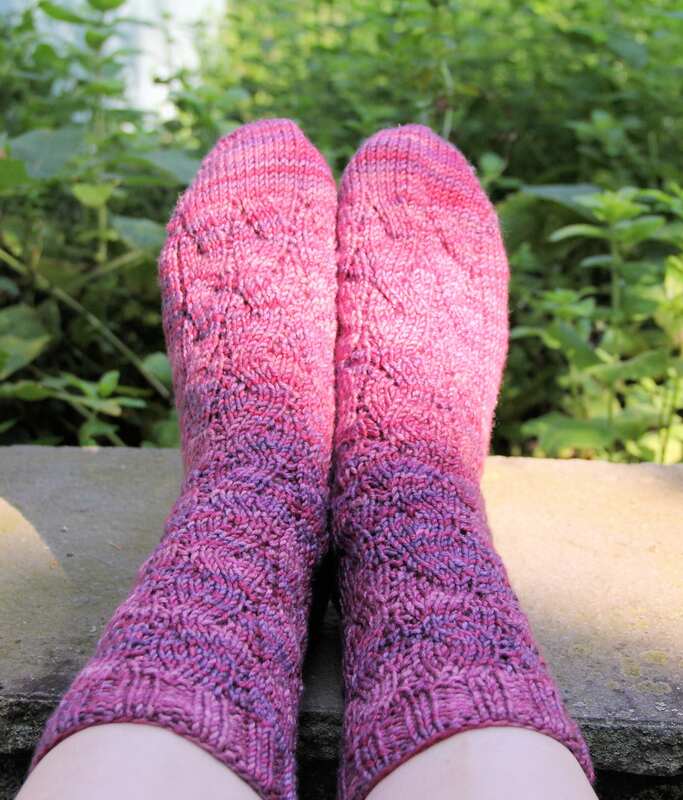 The socks I made are called Serpentine Socks. While I know I will love them during the winter, the Fiesta Yarn was a little heavier than I am used to working with when knitting socks. Needless to say, I waited for the hottest and most humid of all days this summer to put them on and photograph them. While uncomfortably warm now, they will be cozy during the winter. Last up is the Girl’s 1960’s Sweater I’m designing. I don’t have a name for it, which is not really true, I do call it a certain name but to write it here would be rude. 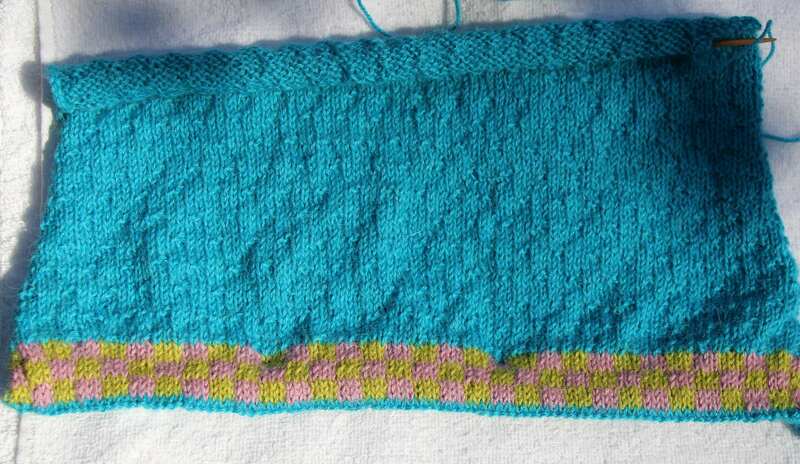 It seems the simple dot stitch pattern I am using is only simple when there are no decreases. Work 1 decrease each end of the needle every 6th (7th, 6th, 8th) row 8 (5, 4, 6) times then every 5th (3rd, 4th, 2nd) row 2 (6, 7, 3) times and simply writing the words “while keeping in pattern” is not going to cut it. 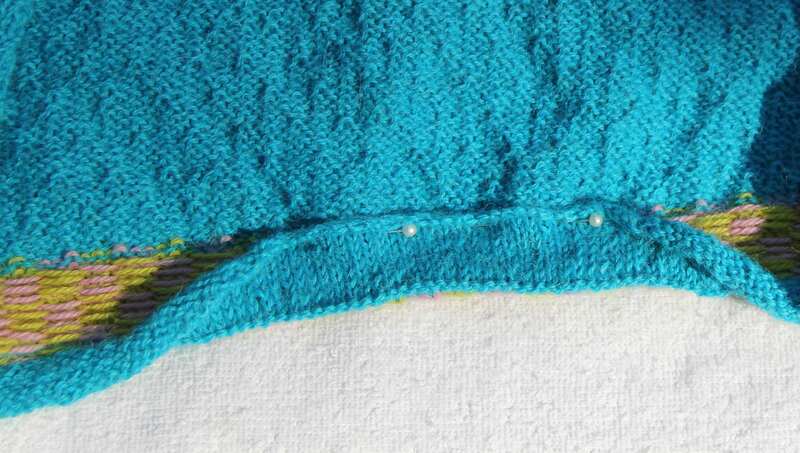 Keeping the little purl dots in proper alteration after every decrease is one step short of mind boggling. Of course this will all be worked out in neat and tidy instructions for the knitter, as long as the creator doesn’t go insane first. The floats on the back side of the sweater. The facing I created to sew over the floats to keep the hem line neat looking on the reverse side and protect the floats from being pulled out of line. 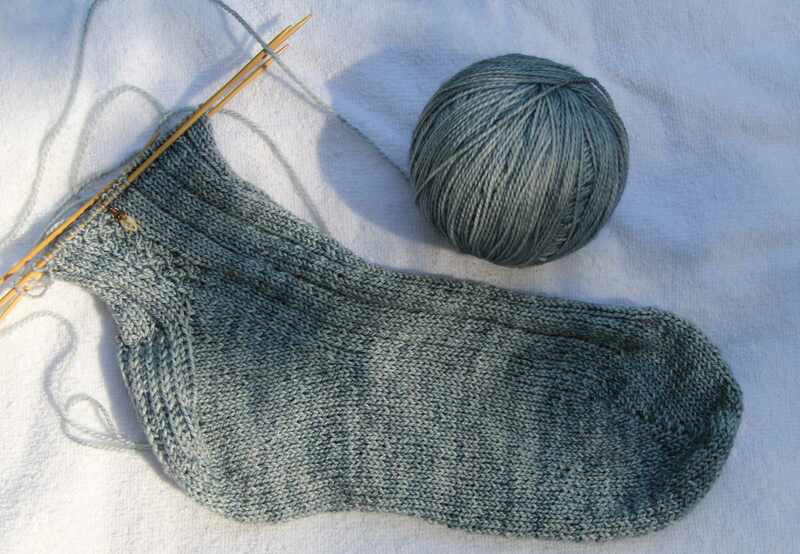 I plan on spending the weekend alternating my knitting between the teeny twisted and crossed stitches on The Skipper’s Socks and keeping the purl dots in proper order on the Girl’s Sweater. If I have the timeline correct, by Sunday night around 8 pm I should be ready for a nice relaxing retreat in a padded room with a view.